I have seen a crazy amount of suits through the last year considering the fact I work in the city. From double-breasted to single button to double button suits that fit perfectly or are just as baggy as ever. I’ve also sat down and had long conversations with people on their suit and why they pay the least attention to their suits or in other words “uniform”! You spend a good amount on money from a good high street brand and then don’t want to finish it off? you might as well buy your suits from a mass market brand showing your lack of appreciation for sartorial elegance which you really should! 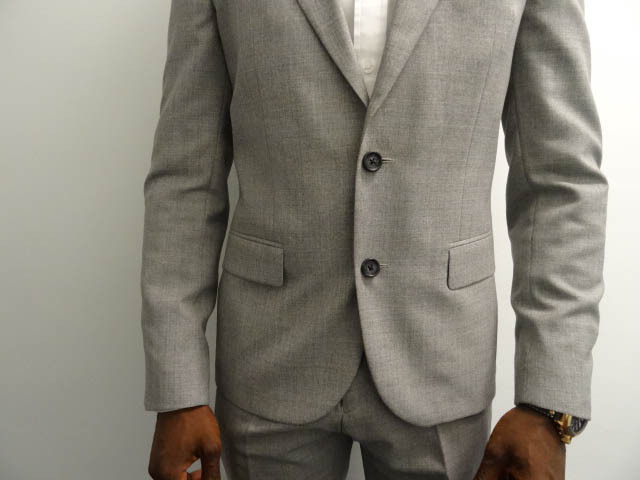 I will cover the key areas that would guide you to a perfect suit, get your personal tailor or use the brands personal tailoring service to get your suit to the perfect fit that you desire. This is one of the easiest ways to catch a bad tailored suit but also one of the hardest areas to adjust after production. You often see many tailors running away from it, so first thing you should avoid is not buying one with the wrong fit. You shoulder pad should sit comfortably on your shoulders, they should not stick out at all or be too tight which will result in the traps bulging up. There should also be no ripples or folding in this area. I took a mate out for suit shopping for his first day at work and the first thing he complained about was the “loose fit”(which is also knows as comfortable fit) at the chest area. Your suit should be comfortable at all parts as it’s not a body suit or a way to advertise your workout. It should sit just perfectly and shouldn’t show any chest pecks as this will form ripples under the arm and stretch the fabric. It will also have major implications on the jacket shape as well as the jacket closure. 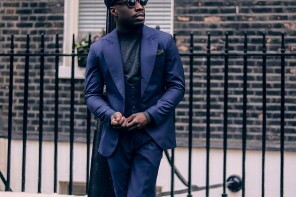 Your sleeves need to be of the right width as you will be able to put on and take off your blazer with ease. They need to have a slick and streamlined look so not too wide and not too tight. There should also be no wrinkles or spiral ripples running through your sleeve when your hands are relaxed. 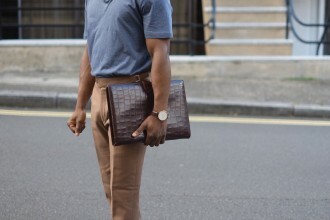 Your sleeves should drop as smooth and straight as your hands. 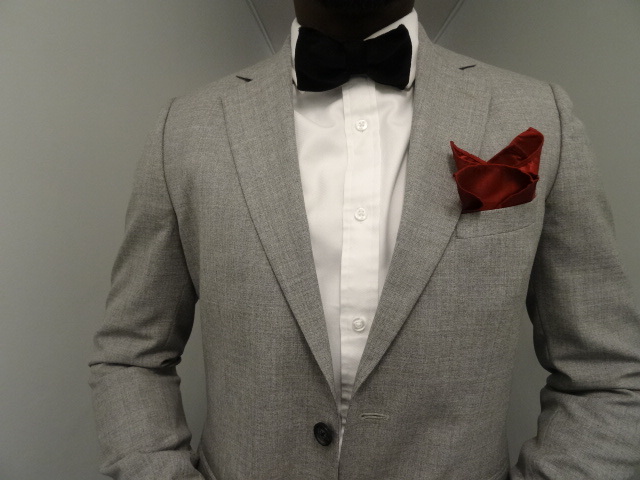 Your tailor can detach the sleeves and replace them to fit accordingly but wont be at a cheap price. Your shirt cuffs are another easy area to catch a badly tailored suit. You want the cuffs to stop just above your wrist allowing a bit of your shirt cuffs to show, about half and inch of the shirt cuffs. Obviously it doesn’t need to be an exact measurement but you want to avoid letting out the full shirt cuffs or allowing the suit go as long as the start of your thumb. 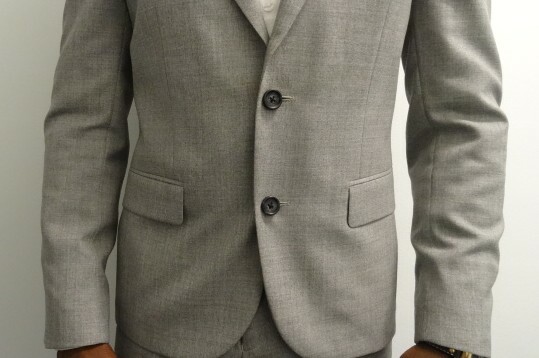 The good news is that any tailor can easily get this right for a decent price. This is another important area you should get right with your suit. 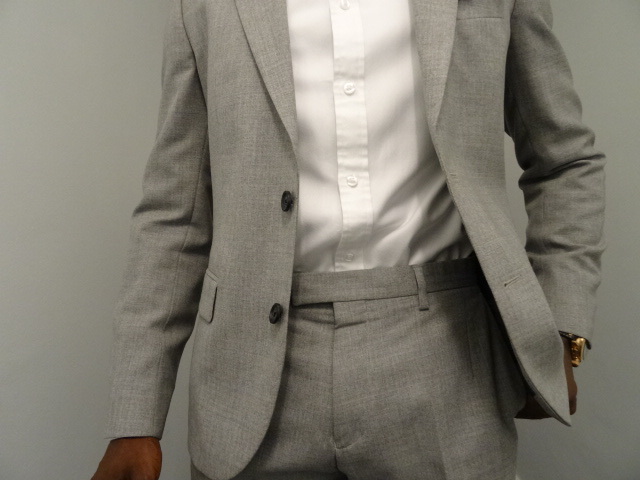 A slim-fit suit should show a bit of your body shape at the sides. The slimmest area should be around the lower torso, giving you that comfortable fit yet stylish look. Avoid it being too tight also as it will affect the chest area and develop flying jacket vents. 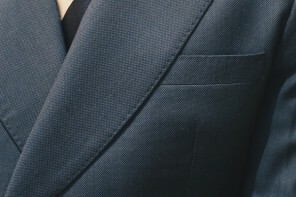 Your jacket should fasten easily when buttoned, allowing some space between the jacket and your shirt. 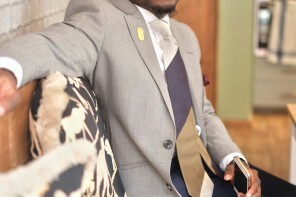 The two sides of the jacket should meet in a seamless way without any disruption of the lapel. The jacket shouldn’t hang forward as that’s a sign that it’s too loose, it should just about allow some space for two fingers to go through easily. Once the buttons are fastened, there should be no visible lines from the button or any wrinkles that form any sort of patterns, it should be as smooth as silk. At worst, it should just be a bit tight or a bit loose as tailor really can’t make major changes to this. You should have your jacket at the same level as the lowest point of your trouser pocket or in accordance with your knuckles when your arms are at your side. 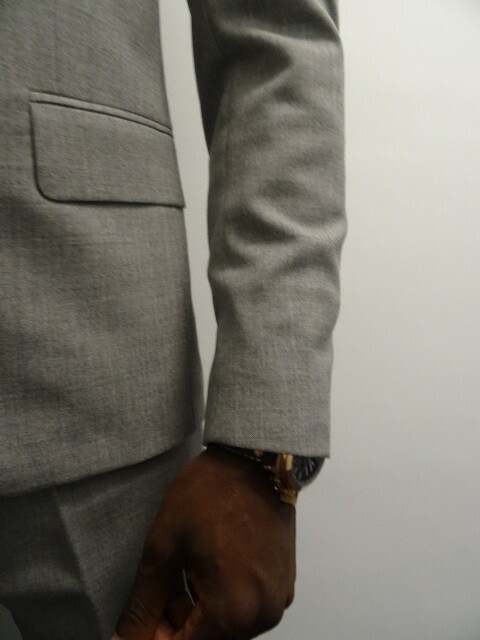 A work suit with its jacket sleeve in-line with the jacket cuff is too short or lower than your arms is too long. 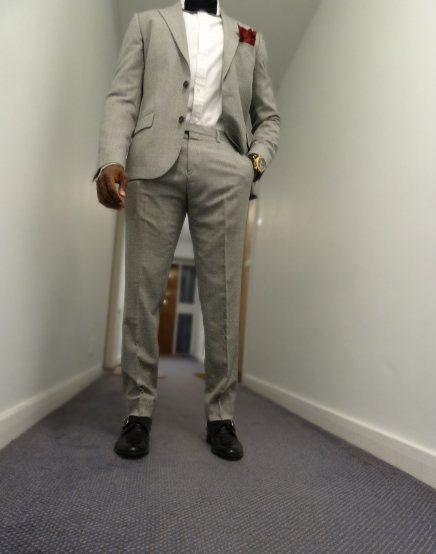 This can easily be shortened by your tailor for a decent price. I love trousers with a perfect drop. So they sit just in-line with my ankle and right on top of my shoes, showing a small detail of my socks as I am a big socks fanatic. But at worst you want your trousers to have a single break which is a single wrinkle above the ankle. It is one of the most frequent jobs tailors do as its simple and quick to do. Don’t make them too short and definitely not dropping and covering your entire shoe, that looks awful. Starting from your waist, your trousers should sit nicely first without a belt so make sure you get your waist size right, avoid them being too tight or too loose as you don’t want wrinkles and ripples at the crotch area. This usually happens when you attempt to use a belt to hold your trousers in place. You want to make sure your trousers have a perfect drape from top to bottom to allow for a smooth and sharp look. 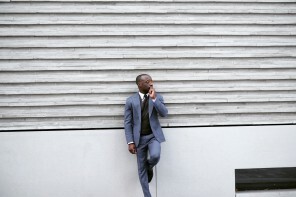 Your leg size should still be obvious so the trouser width shouldn’t be too tight, cuffing your legs and not too loose, allowing unnecessary movement of your trousers. This is a very important aspect of your suit as your trousers will experience the most movement from walking, sitting and more so you want to be particularly comfortable in this area but not too shapeless like a clown’s costume. Thank you all for taking the time to read this important article, I hope you now have a good guide to a perfect suit. have made associates much like me to attain their endeavors. me and still more to my fellow workers. Thanks a ton; from each one of us. Thank you! I am glad it was of use to you all. Feel free to contact me to speak in more detail or for any guide requests you would like to see. Thanks to my father who stated to me regarding this weblog, this web site is really awesome. Thanks for every other informative blog. Where else could I get that type of info written in such a perfect means?